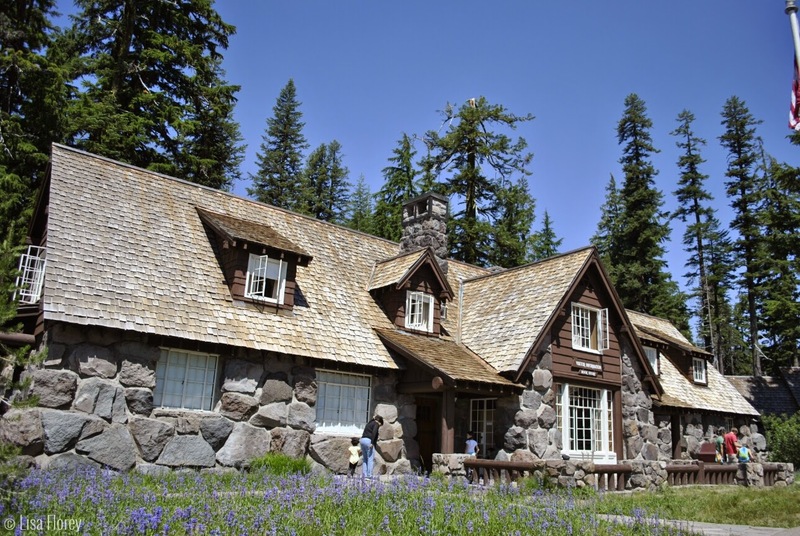 What's better than a vacation to a national park? 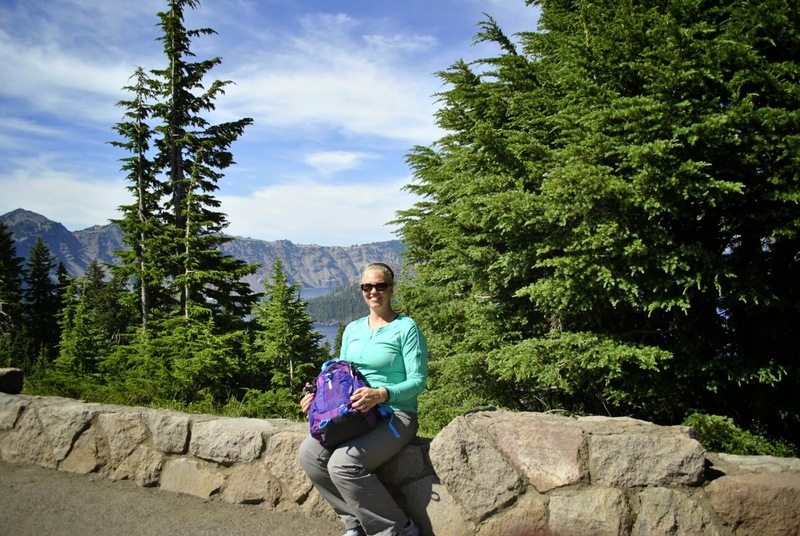 A vacation to TWO national parks! Brenda and Sophia, my travel companions, had never been to Oregon and wanted to at least step foot on Oregon soil. 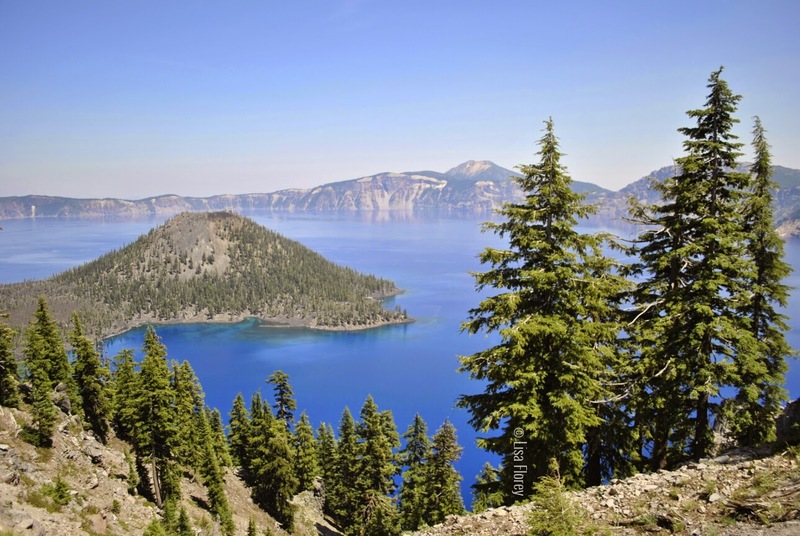 The Oregon-California border was not far from Crescent City; a closer look at the map revealed that we could make a day trip to Crater Lake National Park. How could we not go? As Sophia said, "We're taking a vacation from our vacation!" 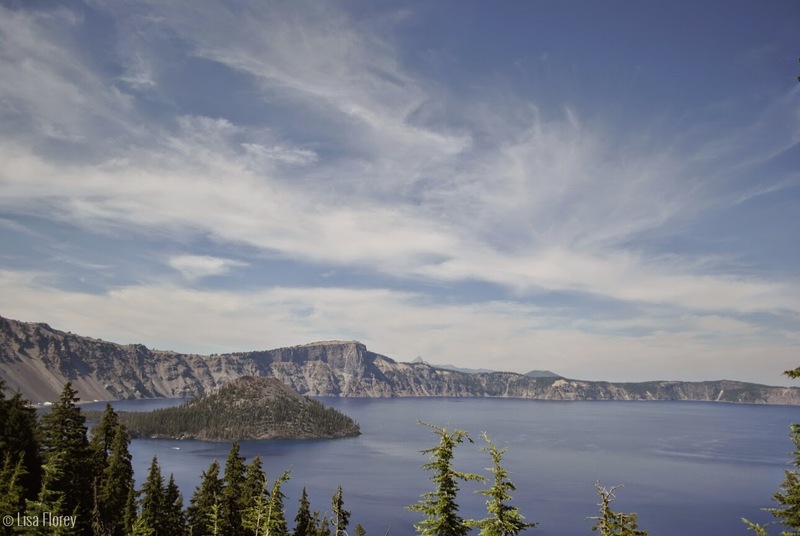 Crater Lake's main attraction is, well, the lake. 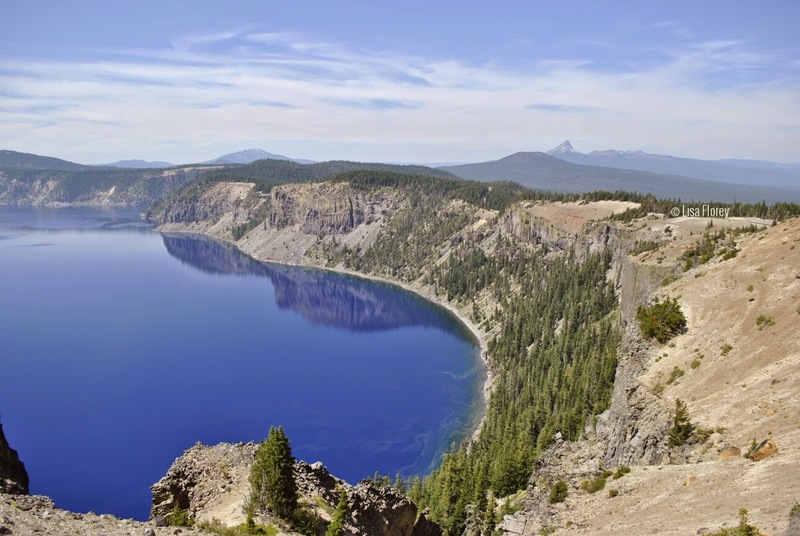 It's not just any lake, but the bluest lake you'll ever see. It really is as blue as it looks in these photos -- no Photoshop. 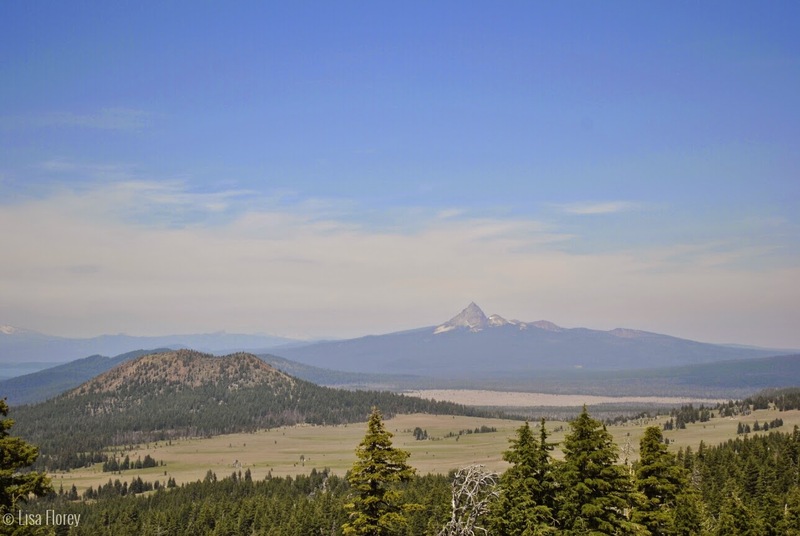 There were seven active wildfires around the park when we visited July 18, and my photos are a little hazy in places. Red Cone (I think!) The haze is from wildfires. Another perspective of Wizard Island. Note the snow on the right bank --in July! 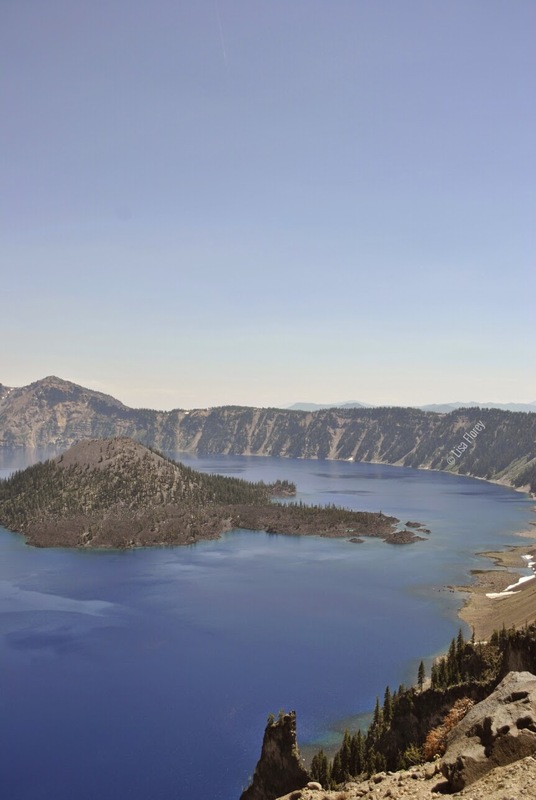 Crater Lake averages 533 inches of snow per year. All the overlooks are scenic. Note the pollen accumulation at the lower right shoreline of the lake. Phantom Ship -- a natural rock formation. It was an amazing national park, and I'm really glad we made the trek there. I'd gladly go again and take one of the hikes down to the lake. There's another item to add to the bucket list! Just me, blocking the view of the lake! 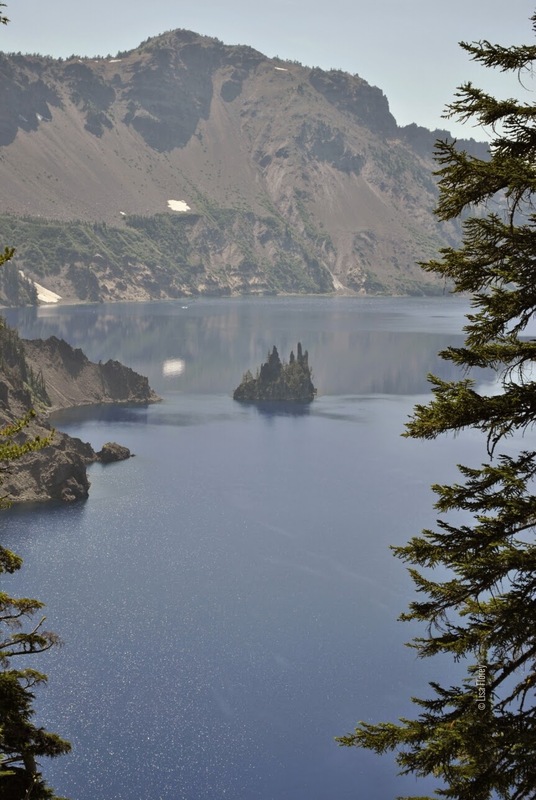 One last look at Crater Lake. Crater Lake National Park is a national park situated in Southern Oregon. 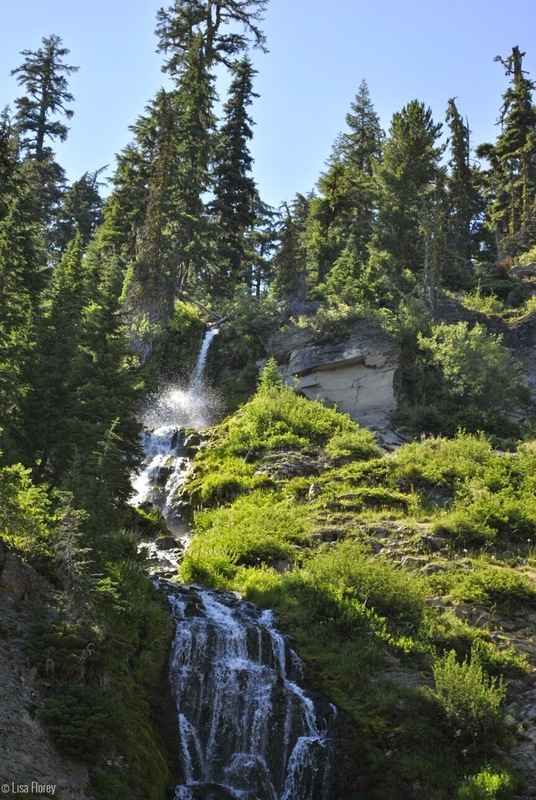 It gives many hiking trail and the campground option to their visitors. It is an adventurous place and best for the adventure lovers. I have been there with my uncle before my boston to dc bus tours . Lightning Spring is one of my favourite trail with the (1.2 km). It is the best way to see the Gazing area. Through this you can enjoy a Castle Crest Wildflower Garden view.